We stay here often. They are friendly, helpful, and always on point. Great location for exploring Manhattan or the Jersey City waterfront. Great facilities. Excellent. Everything is done extremely well, and the facilities are top drawer. The only issue is that the price reflects the NYC skyline, but at least it is consistent with the location. Staff was very helpful. Facilities were very good. 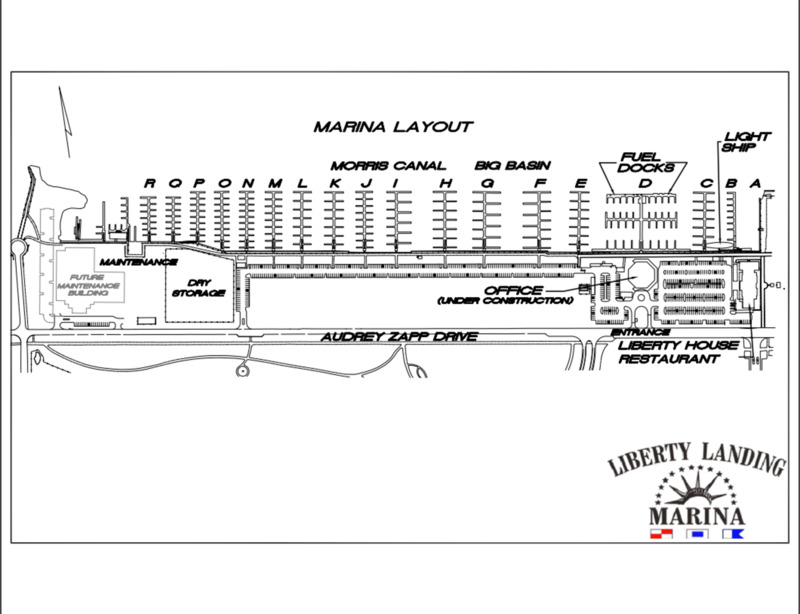 Very nice facility with good, solid floating docks, very helpful dock staff. In addition to clean, modern bathrooms and showers, there's a fabulous lounge with good, strong WiFi, and comfortable chairs and desks. This place ain't cheap, but it's essentially New York City (not actually) so that's to be expected. But it is well protected and a good, safe place to visit with frequent shuttle ferries across to Manhattan. Very helpful staff, great amenities and the facilities are in great shape. The view of Battery Park/skyline at night is beautiful. We will definitely return! Adequate. Need better dock assignment plan for larger boats. This was a great location to see the city, the Statue of liberty and Ellis Island. Easy transportation. Very helpful dock hands, great personalities. A very CLEAN Facility. Looking forward to going back. Thanks for a great time!!!!!! Stay was great as usual. Would have given you five but fuel prices are up. We had a wonderful time staying at this marina. It was quiet, safe, and the employees were very friendly and willing to help. The bathroom/shower facilities are impeccable and we felt like we were at a spa! We also enjoyed Romeo, the adorable dog, that came to visit us every morning. The ferry is convenient and Surf City is walking distance. We will be back! 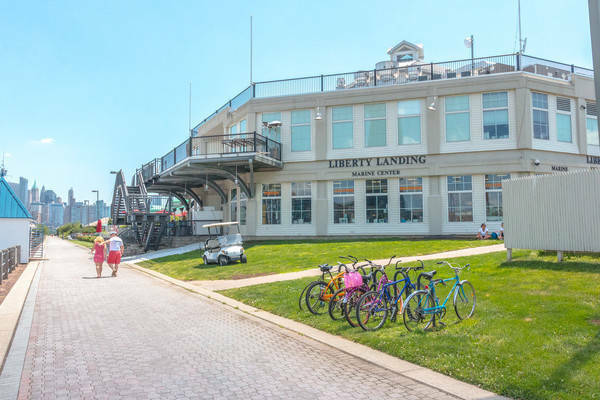 Our first time at Liberty Landing and we can't wait to go back. All was top notch, from the staff at check- in to the great restaurants. Great service from the LLM team both on and off the water. Will continue to return. Also, great coffee in the AM. It was so perfect, staff, cleanliness, professionalism, service..... I al.pst want to keep it as my little secret. Us the et sky tour of Manhattan is a must!!!!. It really is a diamond in the rough. Irene, Andrew and Ali plus all the staff are First class, warm and well organized. The park attached is a bonus and the ferry to Manhattan is every 30 minutes. 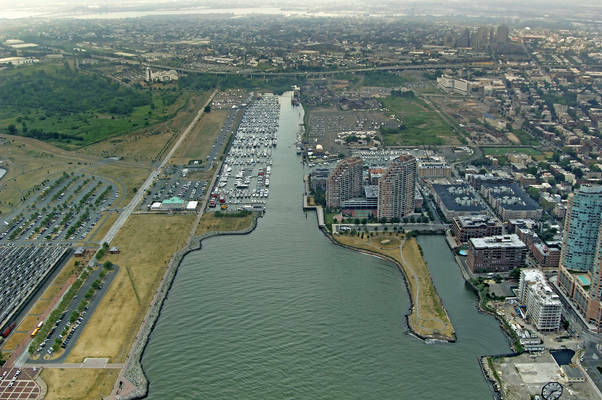 Drinks in Jersey city is amazing and a very takes you across canal very 15 minutes. Boats from jet ski size to yachts behind imagination. Great facility, clean bathroom and showers. 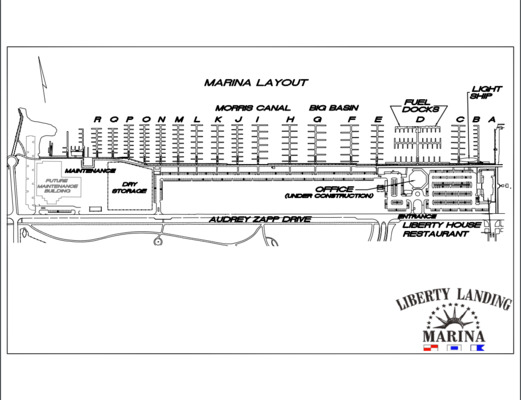 Ferry and restaurant's right in marina. 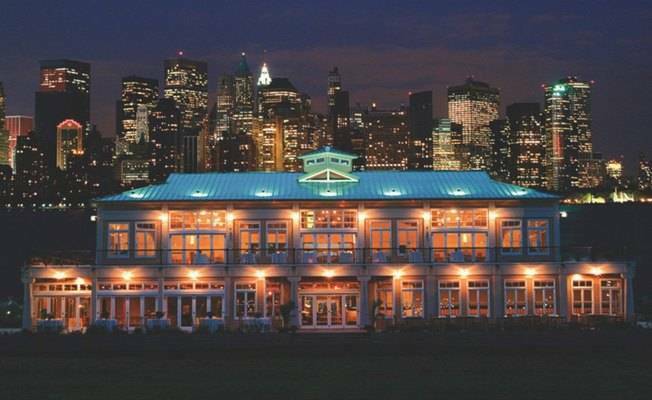 Huge marina with impeccable views of the NYC skyline, Ellis Island and the Statue of Liberty. Fuel, pump out, restaurants, huge marina store and reasonably priced. The marina staff are all great, And with the new transformer the power is excellent!! LLM was quick to meet us on The does and catch a line for us. Stayed for two nights and found the docks sturdy, well protected from wind and the Hudson River current. A great marina when in NYC Harbor. I'm usually very impressed with Liberty Landing. Cleanliness and service are phenomenal. In this case, however, I booked two weeks in advance and when I checked in, they had double-booked my space and didn't have a spot for me. I had to wait about 40 minutes for them to eventually put me on the end of a crowded T-dock. I feel like I paid for a slip, but didn't receive one, for my 11 day stay. I'm really disappointed with the disorganization of their check-in process in this case. Great marina with very helpful staff. The restaurants on site and the facilities are great. I wouldn't hesitate to stay again. Love it here! 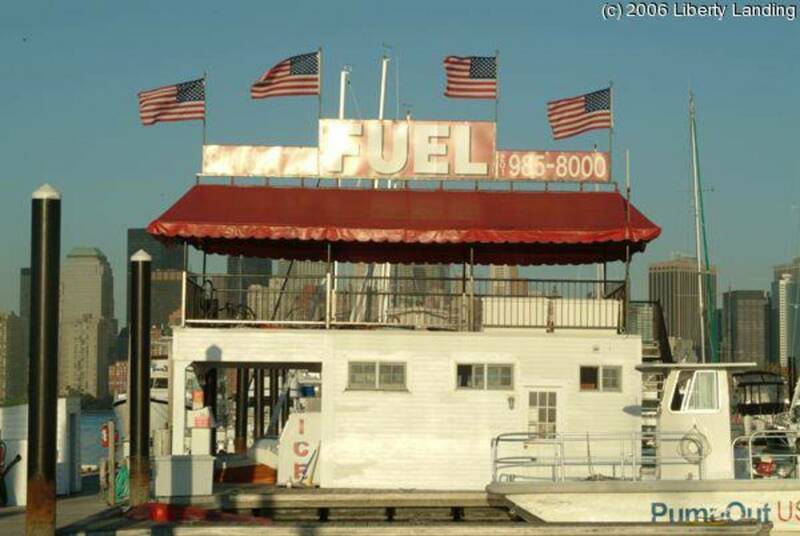 Best place to be near Manhattan.. Only wish that the ferries ran later into the night at least up till midnight ! If you have stayed anywhere else on the Hudson, then you know how uncomfortable it can be with the waves and wakes. 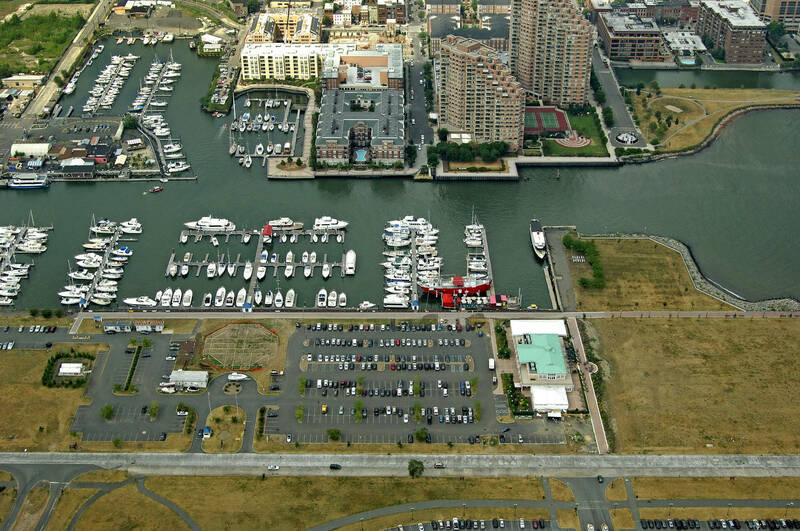 At Liberty, it was flat calm in the marina. The facilities are beautiful. Great ships store as well. Had a fireworks display from the park next door and a view of the Statue of Liberty. A water taxi leaves every hour from the marina and takes you right to NYC near the 911 Memorial. $7 a person!!! Marina personnel were very helpful with fueling and docking etc. Great place!! well run. We will return. A great facility with wonderful views and easy access. Everything about this marina was awesome! No issue getting situated in our slip. The view of the Freedom Tower is truly spectacular! Nicely sheltered from the Hudson river traffic. We didn't take advantage of the ferries to NYC, which were right there. Maybe next time. Excellent staff. 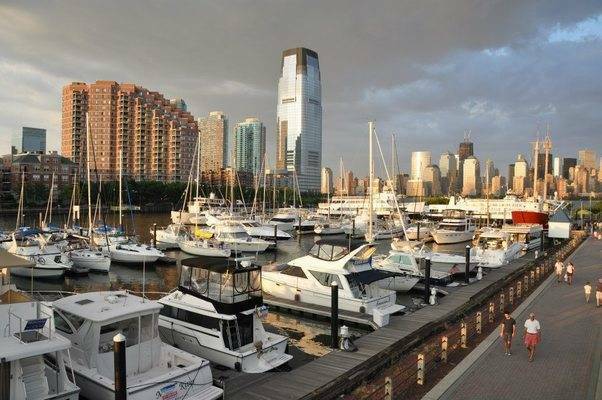 Great location: take the ferry, right there, 10 minutes to Manhattan. Quiet waters -- essentially no wakes. Great restaurant a few steps away. We had a great time. The staff were friendly, helpful, and courteous. The bathrooms were clean. The grounds are well maintained. 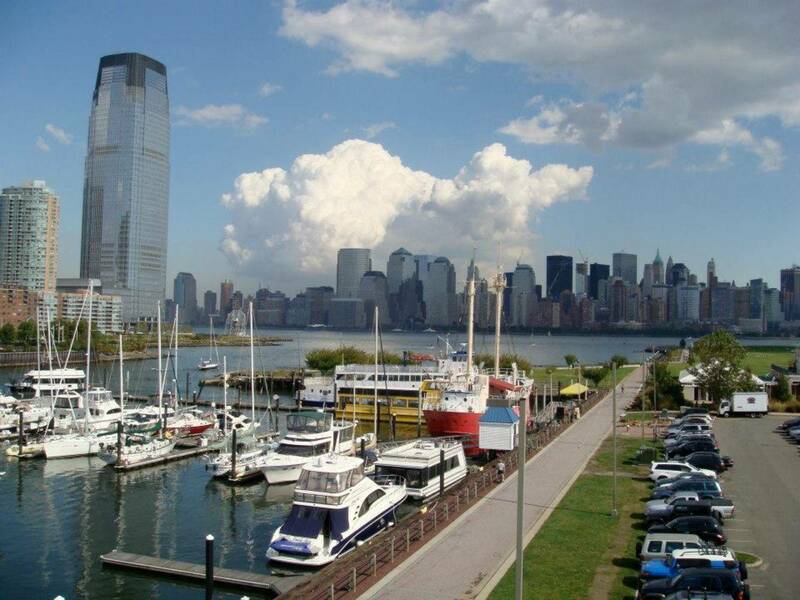 The ferrys into manhattan ran every 30 minutes making access to the city easy. The wi-fi is not the greatest but we had a great time and we will definitely be back. Andy and the crew always make for a great stay! The ferry drivers do not have enforced No-Wake zones making it a steadily rolling marina. Great place to visit. Great people. Easy access to NYC , Jersey city. Great restaurants. Nice marina, nice people. Very convenient to city. Need to fix power ( only 200 volts) problem. Everyone was so nice and helpful. The new ship store manager Ivan is incredible. So helpful and made it a point to make us feel welcome! very nice folks and clean facilities ! This was our first time going here and when I hailed them on Ch. 72 they gave perfect directions though it took a couple of calls due to people stepping on our conversation. Frank was standing by to guide us in asking if I'd prefer bow in or stern in. He efficiently tied us up and I did not have to step off the boat to connect anything. The staff was courteous and friendly. When ever staff went by they said good morning, afternoon or evening. Was concerned about access to D dock, which is the transient dock but was reassured by the General Manager that our boat was quite safe and explained all the security that was in place. We particularly liked that the boats to Ellis Island and the Statue of Liberty were conveniently located within a short walk from the marina. There is also a ferry that runs from there to within a few blocks walk of the World Trade Center for a reasonable price. There are two restaurants there as well. We visited Liberty Park and sat at the bar and had a couple of drinks and some sushi. The sushi was fantastic and the bartenders were awesome. 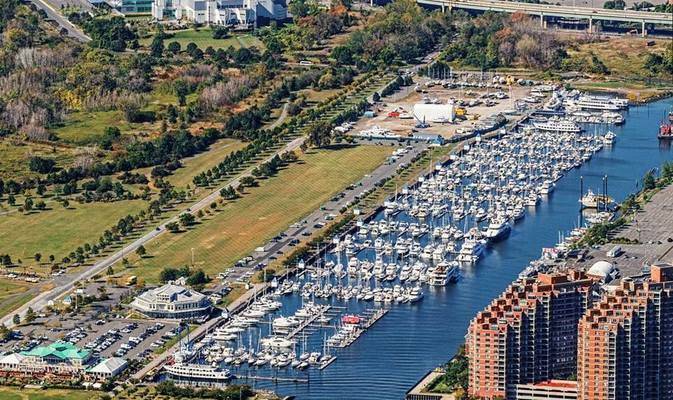 We didn't get to use all the amenities the marina had to offer but we will on our next visit. No actually I did not stay there on that date. I may have made some error in booking it, I wanted the following weekend. But I tried to contact the marina through your system before I realized my mistake and after and they have failed to reply. As I assess it, a great system for taking my money not so much for customer service. If I could rate it minus five stars I would. 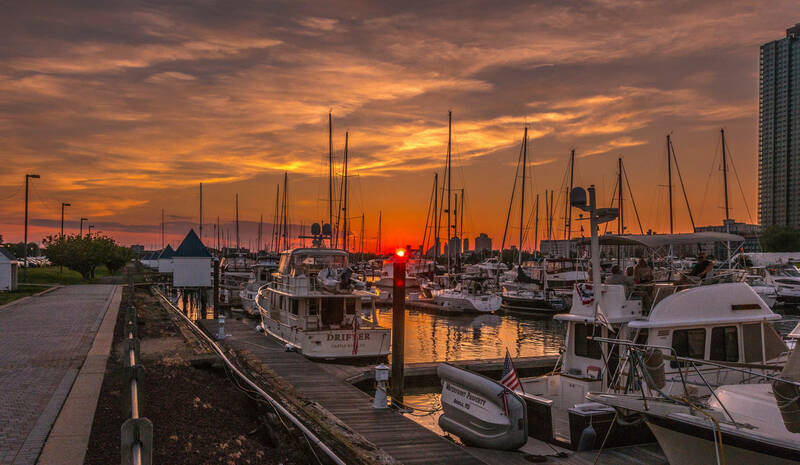 From my sign up online in January to my confirmation call to Dockmaster Andrew on June 30th, my reservation and stay at Liberty Landing Marina was just wonderful. As we approached the marina my call in to channel 72 was received with enthusiasm and perfect instruction to our slip where a dock mate greeted us and helped us to tie up and get set. During our stay Dockmaster Andrew even came by and chatted with us, making us feel a part of the party called Liberty Landing Marina! One of the best locations ever. Dock hands were professional and the restaurant was AWESOME. Great staff, competent and helpful dock hands and all in all an incredible facility. The facilities are fine and the staff in the store are friendly, but the dock hand who helped us get in to a very tight space behind a ferry was not particularly skilled and gave us pretty much no information - where to check in, garbage, etc. It seems a bit exorbitant even for NYC to charge $4.50/foot plus another $0.40 per foot for electricity. No wi-fi either. Excellent service! Dock was clean and well organized. Ship's store is well stocked. Lounge, bathroom, showers, everything is clean and professional about this place. Liberty Landing Marina is located on the lower Hudson River across from Battery Park City, NYC. 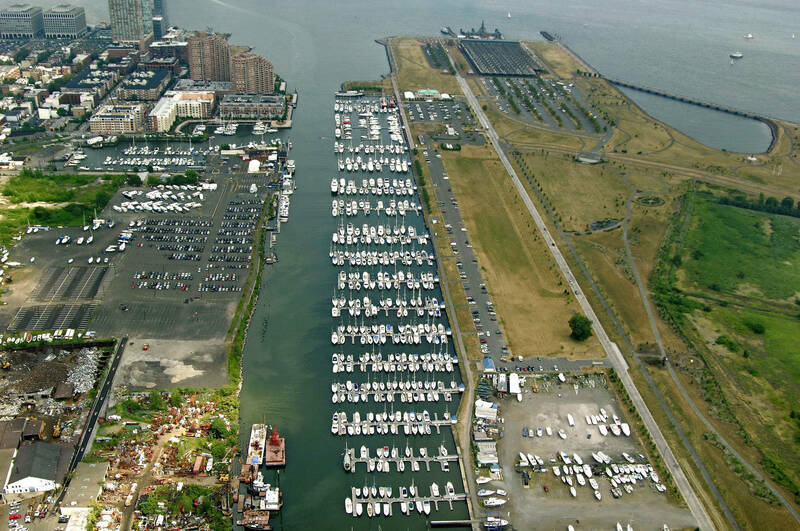 Our Marina sits in beautiful Liberty State Park and is watched over by “The Lady of the Harbor”, our Statue of Liberty. Liberty Landing Marina has set the highest standards in the industry for amenities and services. 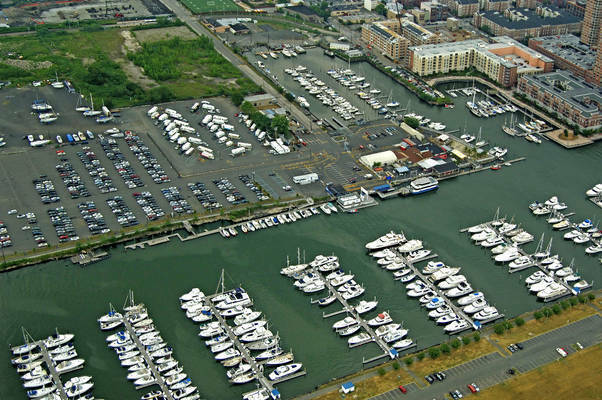 Our guests enjoy the luxury of a full-service marina with a well respected service team. Our large dock staff will cater to your every need. 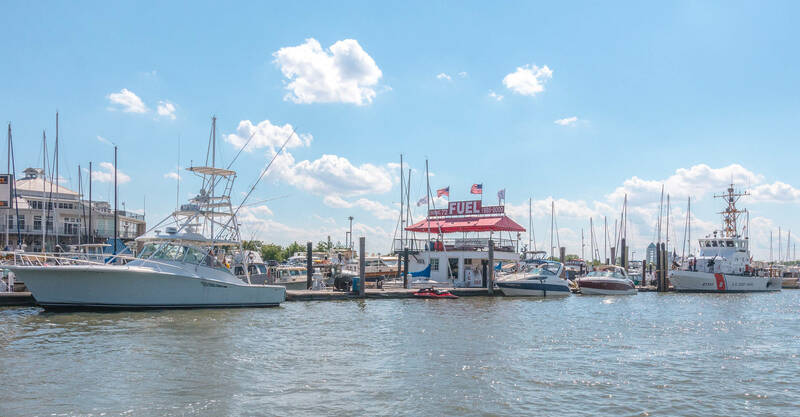 We are home to a well stocked marine store and two of the finest restaurants on the east coast, which offer both fine dining and casual outdoor dining. There are many attractions in the park that can keep a family occupied for their entire stay, including but not limited to visiting The Statue of Liberty, Ellis Island, and the Liberty Science Center. 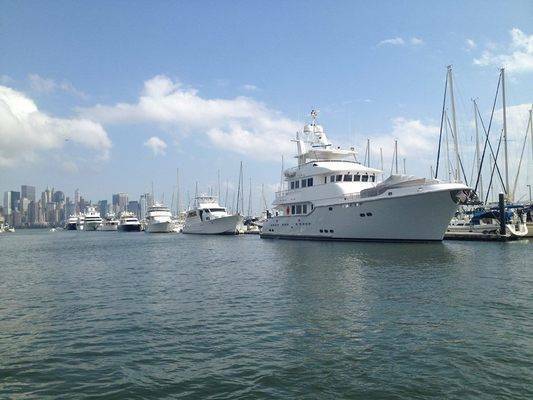 Please Note: Catamaran and Trimarans are subject to a higher rate than monohull vessels. The initial rate displayed MAY NOT be accurate if your vessel is a catamaran or trimaran. Electric IS INCLUDED in your dockage rate. Please clearly indicate if you're not looking to use electric when requesting and you will receive the appropriate discount based on the size of your vessel. Please include swim platform, dinghy's, etc, into your LOA when booking.